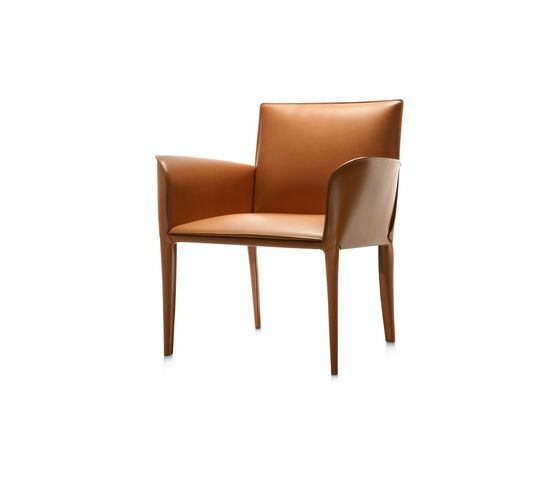 Collection of chairs with padding and full leather upholstery. Flexible back with harmonic steel blades. Steel frame.